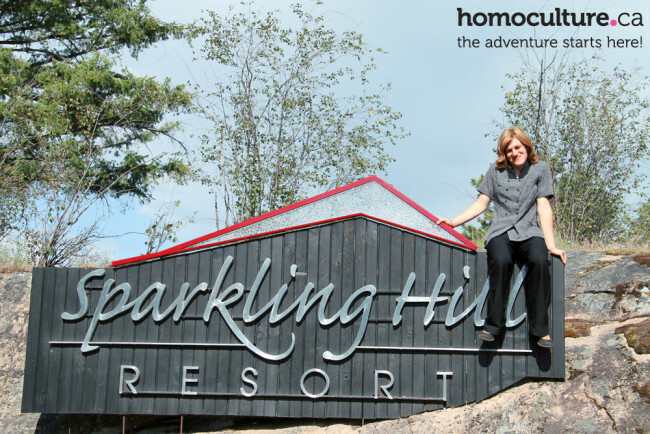 Great article about Katie, a Sparkling Hill Resort employee, and her company's support during her transition. Katie was born in Cambridge, Ontario, and grew up in the small community of Paris, a rural town of about 10,000 people. Growing up, she knew she was different from the other kids. This is common for many LGBT youth; they often recognize or feel something is different about them, but they aren’t sure what it is because sexual education isn’t taught until later in school, and even then, LGBT education is limited at best. Sparkling Hill Health Resort is a world-class resort located in the interior region of British Columbia. Situated just outside of the city of Vernon in the North Okanagan, the beautiful valley is well known for outdoor recreation and leisure getaways, wine and agriculture, and a long history rooted in conservative values. When the luxury health and wellness resort opened in 2010, little did they know the vital role they would play in the transformation of one of their employees.